When and where patients first seek treatment for cancer can make a big difference in recovery and survival. Patients choose Fox Chase for advanced treatments, highly experienced teams, and a reputation for bold discoveries in cancer care. 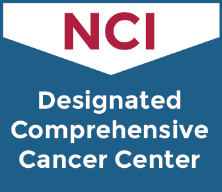 As a leading cancer center, we offer some of the most advanced treatments and specialists for your specific type of cancer. We are here to support you every step of the way – from detection through survivorship. Seeking treatment at Fox Chase Cancer Center provides you with access to nationally-renowned clinicians. Let our multidisciplinary teams create a personalized plan for you. We strive to make sure you get seen quickly. To get answers to your questions, or to make a next business day appointment, call 888-FOX-CHASE or request an appointment online. You or someone close to you has just been diagnosed with cancer. What do you do? It is critical to obtain the best care possible. The key is to do your homework and decide where to seek treatment. Our nurse navigators are clinically trained specialists with expertise in supporting patients before their first appointment. They connect patients to the appropriate cancer care team, expediting care when possible.